Traîner | One quality, the finest. “This house speaks to my heart!” so said our adorable four-year daughter when we were looking for a new home many years ago. This emotional connection certainly helped tip the balance in favor of the house we bought and where we lived for nineteen years. When we decided to move, we spent about two months going room by room, clearing away things we didn’t need or want anymore, putting others in storage, and sprucing the house up from top to bottom before the realtor hammered the “For Sale” sign on the front lawn. We got rid of a ton of stuff, perhaps literally a ton. Once we were confronted with the option of paying for storage and then paying to move various belongings, all sorts of things that “might be useful someday” were sold, donated, or chucked in the trash. Traîner (tren-ay) means to hang around, to drag down, to dawdle. All of those “useful” belongings were just dragging us down. Fast forward to our new home. It seems to never really be untidy. I credit our extensive clear-out with the feeling of serenity we enjoy here. 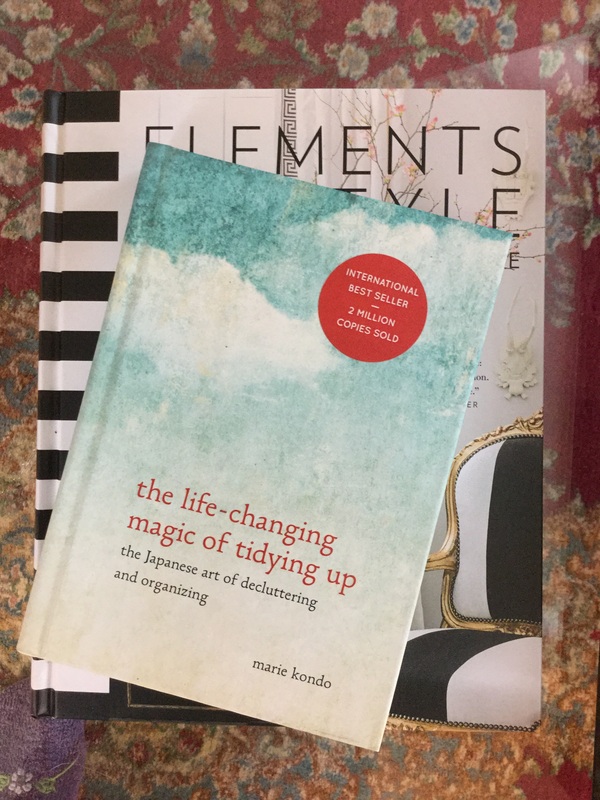 Lately, I kept seeing references to a best-selling book with the enormously long title of The Life-Changing Magic of Tidying Up: The Japanese Art of Decluttering and Organizing, by Marie Kondo. It’s a quick read with bite-sized sections. I’m certainly not going to adopt all of Kondo’s suggestions, such as thanking my clothes for their service when I hang them up each day, but there is much good in this little book. Basically, Kondo helps her clients restore order in their lives by massively purging their belongings and then assigning a fixed location to what is left. When deciding what stays and what goes, Kondo advises her clients to pick up each item and ask, “Does this spark joy?” If there are no sparks, out it goes. Her question reminded me of the little girl who had such a strong emotional connection to our house. Although we have a long way to go by the Kondo standard, there is very little in our home now that does not speak to our hearts. If you would like some inspiration to help you keep your New Year’s resolution to maintain a more serene home environment, you can buy my copy of Kondo’s book on Amazon. She would approve that I’m passing it on. 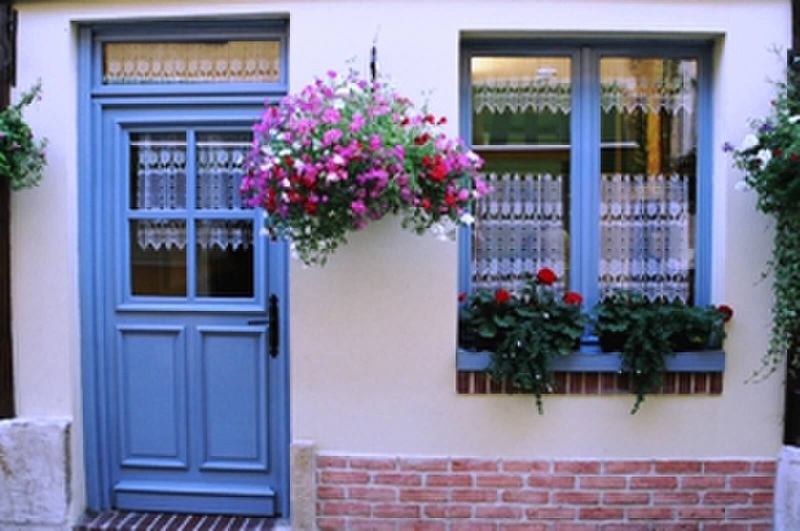 This entry was posted in Décor, French Vocabulary and tagged decluttering, Marie Kondo, The Life-Changing Magic of Tidying Up: The Japanese Art of Decluttering and Organizing, tidying up, traîner. Bookmark the permalink. This is the third time that I have read a recommendation for this book. I am taking it as a sign! Bonne année ! I hope that you will enjoy it. Meilleurs vœux! Pingback: Le défi | One quality, the finest.